I was in worship practice this morning and I fell in love with this song that is new to me. 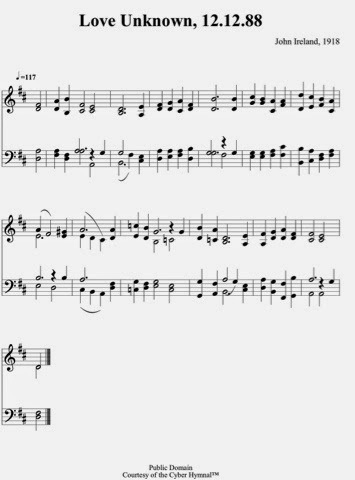 I found the music score as well - and found that the timing is quite interesting. It does not even have a time signature. But I think most sing to a strict 4/4 timing now. I simply love John Ireland's music here and how he captured the emotion of the words with perfect notes.